Topeka ? Gov. Sam Brownback has said his tax changes will be like an adrenaline shot to the Kansas economy. 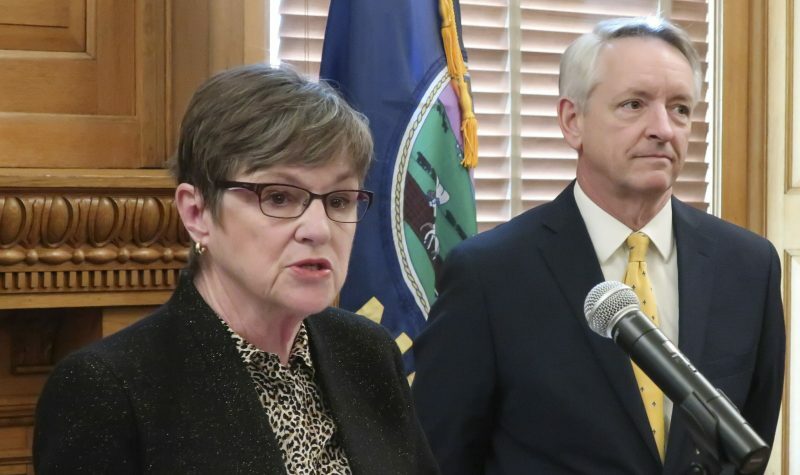 But tax experts who have studied the Brownback plan say there will be no sudden surges from Brownback’s tax policy, and it will be difficult to tell what effect the changes will make. 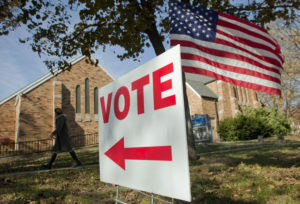 “We’ll never now for sure whether Kansas specifically experienced significant gains as a result of this policy,” said Justin Ross, assistant professor in the School of Public and Environmental Affairs at Indiana University. Ross and Carolyn Bourdeaux, an associate professor of public management and policy at the Andrew Young School of Policy Studies at Georgia State University, analyzed Brownback’s tax changes for a recent conference at Kansas University sponsored by the Institute for Policy and Social Research. Brownback has pushed for and succeeded in cutting income tax rates and giving certain business owners an income tax holiday. 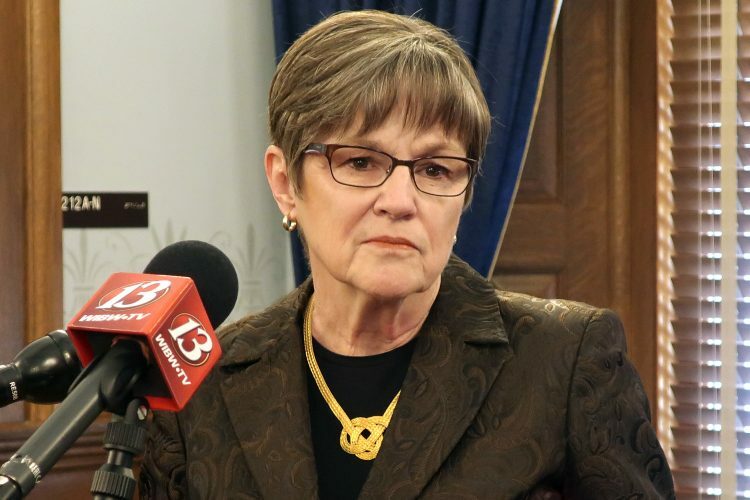 The Republican governor has said these changes will modernize the state tax system in a way that will stimulate economic growth while providing the necessary tax funds to pay for what he deems core government functions. Appearing last year on MSNBC’s Morning Joe, Brownback explained what he wanted to do. “On taxes, you need to get your overall rates down, and you need to get your social manipulation out of it, in my estimation, to create growth. We’ll see how it works. We’ll have a real live experiment,” Brownback said. But Ross said what is happening in Kansas doesn’t fit the definition of an experiment because the results cannot be ascertained. The problem, Ross said, is that unlike an experiment, the tax changes aren’t isolated in a controlled environment to determine their impact. Numerous forces affect the economy, he said. If Kansas experiences significant growth, can it be traced to the tax changes? If the economy sours, could it be argued the downturn would have been worse but for the tax changes? For the operation of state government, however, the tax changes have a real fiscal impact. 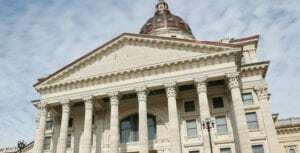 Over a six-year period, the State Treasury will lose about $3.8 billion, according to the Kansas Legislative Research Department. Considering that the state spends about $5.9 billion per year, the loss of $3.8 billion over six years represents a big chunk of the budget. 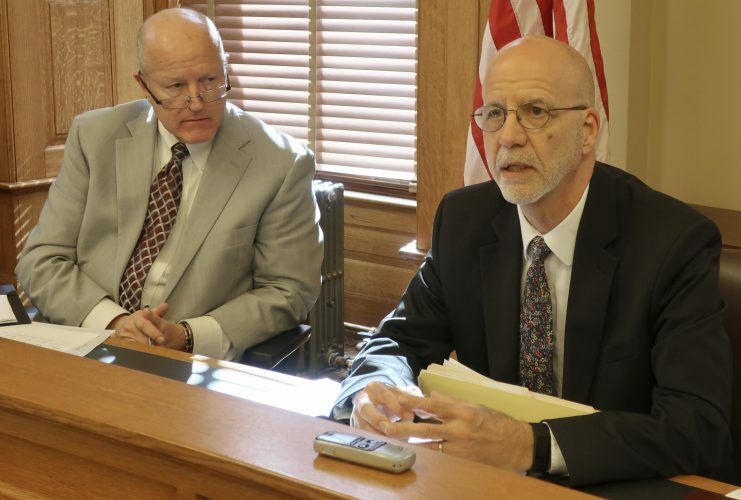 The effect of Brownback’s tax changes on the state budget concerns Bourdeaux. “It seems Kansas decided to jump in all at once without having a strategy on the investment side,” she said. She said the tax cuts will produce a small economic “lift” but the reductions in spending will cost the economy. “When you cut state expenditures, that is money that was going to be spent in your state. If you cut education, that has a strong long-term economic impact,” she said. She said state taxing and spending is generally small relative to the overall size of state economies. Kansas Gross Domestic Product in 2012 was $139 billion while state revenues were in the $6 billion range. Below are the tax changes enacted over the past two years. Collapses the three-bracket structure for individual income taxes of 3.5 percent, 6.25 percent and 6.45 percent, into two brackets of 3 percent and 4.9 percent. In tax year 2014, the individual income tax rate for the bottom bracket is cut from 3 percent to 2.7 percent, and the top rate of 4.9 percent is cut to 4.8 percent. In tax year 2015, the top bracket is cut to 4.6 percent. The two brackets will be 2.4 percent and 4.6 percent in tax year 2016; 2.3 percent and 4.6 percent in tax year 2017; 2.3 percent and 3.9 percent in tax year 2018. Further tax cuts could take effect as early as tax year 2019 if tax sources increase by 2 percent or more over the previous year. Most itemized deductions, such as home mortgage interest, are reduced by 30 percent in tax year 2013; 35 percent in tax year 2014; 40 percent in tax year 2015; 45 percent in tax year 2016; 50 percent in tax year 2017 and thereafter. Exempts non-wage business income reported by LLCs, Subchapter-S corporations, and sole proprietorships. Repeals tax credits for food sales tax rebates, adoption expenses, child and dependent care expenses, childcare expenses, and disabled access expenditures. In addition, renters no longer eligible for homestead property tax refund. The state sales set at 6.15 percent on July 1. 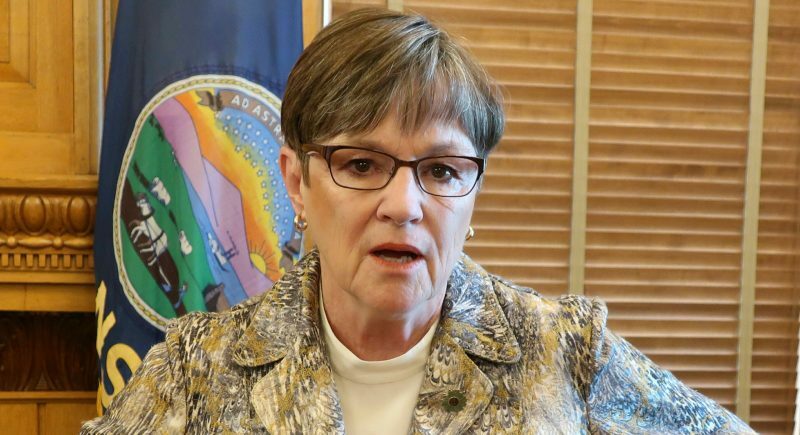 The rate had been 6.3 percent since July 1, 2010, but was scheduled to decrease to 5.7 percent on July 1 until Brownback signed into law the increase. Source: Kansas Legislative Research Department.